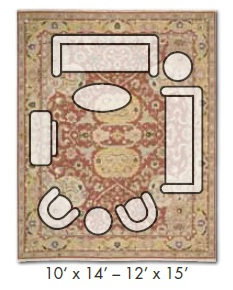 Once of the most common reasons that rugs are returned is improper size selection. Choosing the correct rug size is essential to filling a space properly and making the rug look the best it can within a particular living area. 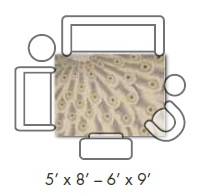 It is important to note that appropriate rug size should be determined based on furniture configuration and not on room size alone. Tuck the rug under the front legs of the sofa. The back legs of the sofa can be situated on or off of the rug, depending on personal preference. 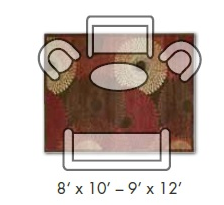 We suggest a rug that is 8′ X 10′ or larger. 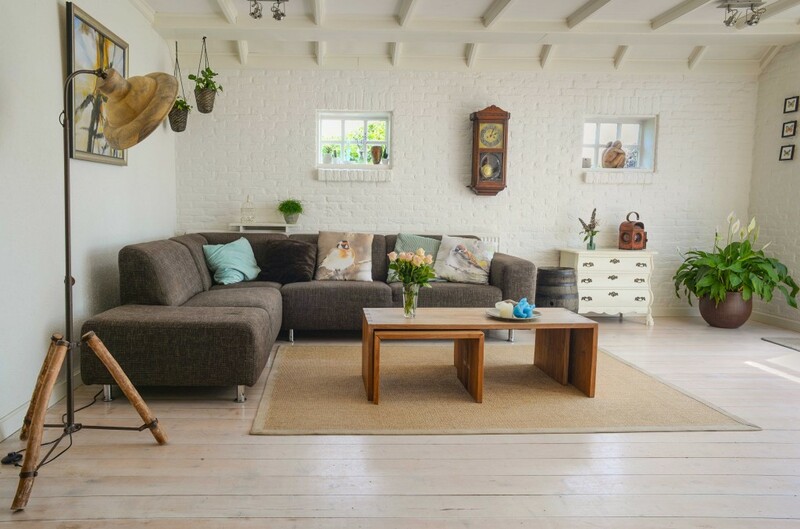 The rule of thumb is to leave 18″ to 24″ between the wall and rug, creating a border of exposed floor that frames the furniture arrangement–equal on all four sides, if possible. Select a room-sized rug that allows enough space for all chair legs to remain on the rug when the chairs are comfortably pulled away from the table. 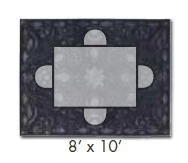 We recommend a rug that is 8′ X 10′ or larger. Place a large rug under two legs of the bed, making sure the floor is visible all around the bed. 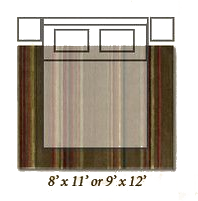 The rug should extend at least 24″ in length and width from the edges of the bed.